New Zealand dairy giant Fonterra said today it plans to take a 20% stake in Chinese infant food manufacturer Beingmate. Fonterra will also spend $555 million on expanding its milk powder making capacity in New Zealand. Beingmate is one of China’s biggest milk processors. The tie-up would help create a global supply chain aimed at China’s market using Fonterra’s milk manufacturing partners in Australia and Europe. It would also help Fonterra increase its share of China’s large and lucrative infant diary food market. If successful, the new partnership between Beingmate and Fonterra would see the Chinese company set up a joint venture to buy a Fonterra plant in Australia. It would also see Beingmate distribute Fonterra’s popular Anmum brand on the mainland. Fonterra’s chief executive Theo Spierings said the partnership would be a “game changer” and that it would provide Fonterra with “a direct line into the infant formula market in China”. He also said Fonterra would work with Beingmate “to evaluate mutual investments in dairy farms in China”. 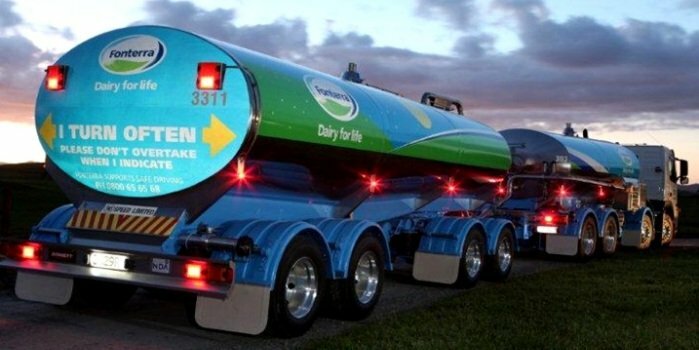 “The partnership will create a fully integrated global supply chain from the farm gate direct to China’s consumers, using Fonterra’s milk pools and manufacturing sites in New Zealand, Australia, and Europe,” the company said. Fonterra said the infant formula market in China was worth about $15.05 billion today and that it would be worth some $27.5bn by 2017. “This growth is driven by increasing urbanization, higher disposable incomes, a preference for premium brands and relaxation of the one-child policy,” said Theo Spierings. China puts a premium on imported dairy food products after a tainted milk formula scandal in 2008 killed six babies and made some 300,000 infants ill. Following that, a food scare related to Fonterra products last year saw China ban all milk powder imports from New Zealand for a period of time. Fonterra, which is a farmer-owned co-operative and the largest exporter of dairy products in the world, said it had found a bacterial strain in some of its products that can cause botulism. Testing later found there had been no problem with the company’s diary products. Fonterra was nevertheless fined $256,675 over the food scare, which led to a global product recall.